The glider gives strength and comfort without any compromises about maintenance. The steel frame assembly is easy, do not require any effort and much time. Many hours of smooth rocking to figure. The woven Egg Swing is made of a durable powder-coated steel frame, hand-woven resin wicker weave and weather-resistant olefin cushions. The swing features a high back pillow to rest your head and pillow armrests for a relaxing experience. The open weave allows the gentle breeze to keep you cool on those hot summer days. 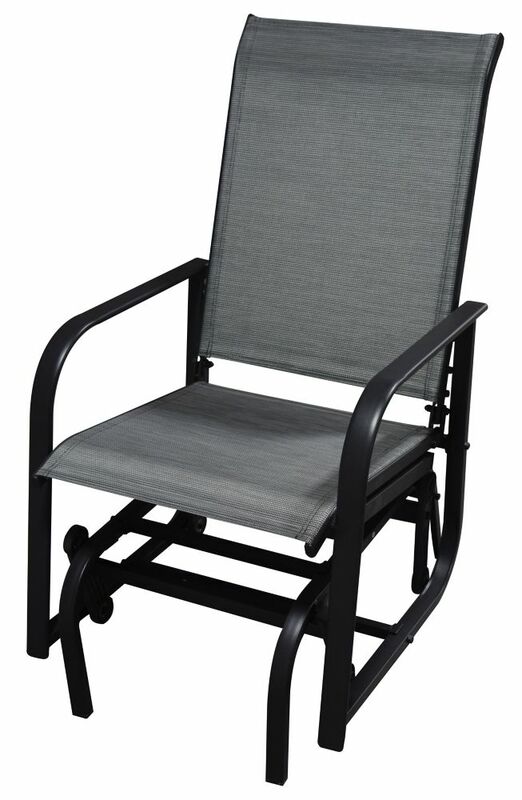 One-Seat Patio Sling Glider The glider gives strength and comfort without any compromises about maintenance. The steel frame assembly is easy, do not require any effort and much time. Many hours of smooth rocking to figure.